Getting the most effective ecommerce product content on each of your product pages to each online retailer may be an overwhelming proposition. However, two out of three shoppers have reported abandoning a sale because they couldn’t find the information they needed so providing effective product page content is important. Understanding the two main types of content can help you form a big-picture strategy to tackle product content challenges. Here’s a quick overview of both essential and enhanced product content to get you started. Depending on the product, essential content can also include a few other pieces: ingredients, warnings, contraindications, structured data (weight, size, whether it is flammable, etc. ), or technical specifications (speed, megapixels, etc.). These are the foundational pieces that are absolutely necessary for a trustworthy product page, and most retailers will require them in some form before they will list your product on their site. Just because the pieces are there, though, doesn’t mean they are top-of-the-game. See more about writing good essential content using Amazon as a platform here. If essential content is the meat and potatoes, enhanced content is a delicious, beautiful chocolate cake for a complete meal (who needs veggies?). Depending on whether the content is being syndicated or sent directly to the retailer, the enhanced content package can vary significantly. In almost every case, the retailer will determine how they accept the content, and what variations can be included. Here’s an example of how this works on Amazon. Visual storytelling with enhanced (full-width) images and an interactive experience featuring hotspot images, carousel modules, and a clickable Q&A. More space, including seven total modules (up from five). HD videos presented in either full-screen modules or product image carousels. Improved product comparison charts that allow shoppers to compare products. 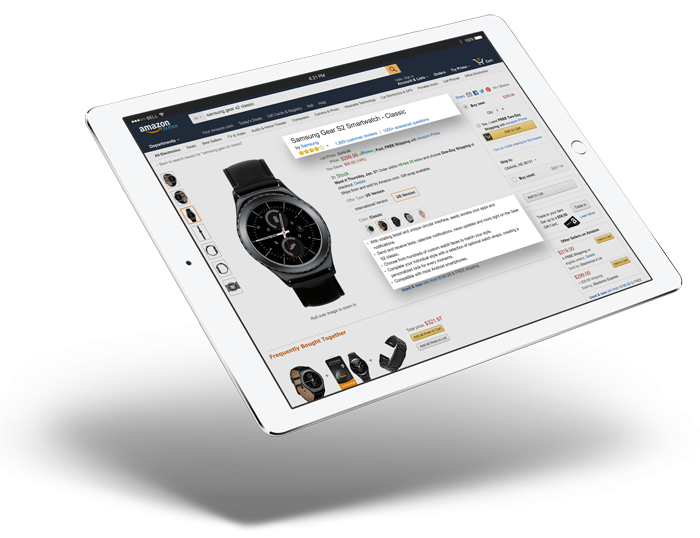 You can find an in-depth review of how Amazon Premium A+ content can improve an enhanced content package here. Which Type of Content is More Important? The short answer is: both are equally important! Essential content has been neglected in recent years because it has been overshadowed by the visual appeal of enhanced content. However, it is experiencing a significant resurgence as brands begin to better understand the importance of managing discoverability, especially as it relates to digital advertising opportunities like Amazon Marketing Services. Enhanced content is a requirement on some sites but even if your products are listed without enhanced content, they will not be able to thrive in a highly competitive online marketplace without completely optimized content. For all ecommerce product content, it’s important to produce product content from as few sources as possible. A fragmented content creation strategy can result in mayhem, with duplicated efforts, inconsistent branding, inconsistent messaging, and ultimately, an inconsistent shopping experience. 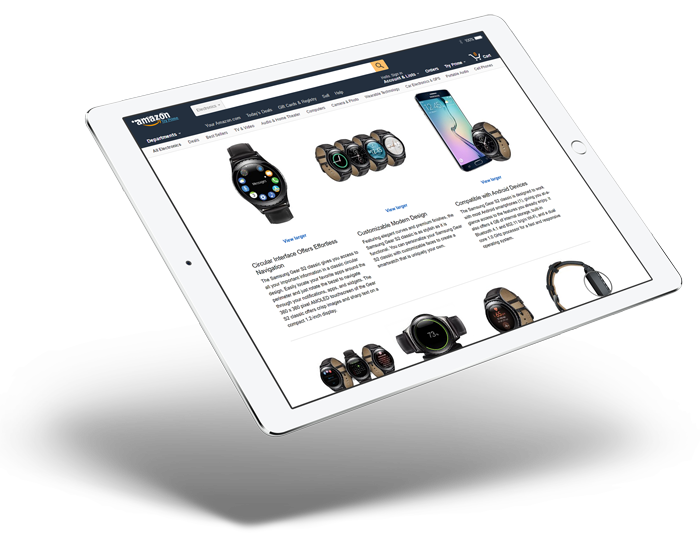 Create the best online shopping experience by focusing on your ecommerce product content. Address both your essential content (title, bullets, product image, etc.) and your enhanced content (longer product story, visual elements, comparison charts, etc.) for the most optimized product page.